what a day. a day full of work work work. i have so many little projects to get on with so i'll be a busy bee. but i'm fairly excited. i'm going to work so very hard to block out the homesickness and so. a friend bought me some edible piglets from her adorable woodland adventure. i felt so sad for the strawberry flavoured chocolate piglet. but he didn't mind so much if i ate him, just as long as i eat the other tomorrow. whilst drinking from my favourite glittery-fairy-cup and tea from my pixie-tea-cup, i browsed for inspiration for an upcoming project. john galliano. i thank you forever much for producing such a sugary sweet collection for this year's s/s collection. i've seen it before, but this time i really looked. and i wish for a pretty coat the same with chiffon skirts and cute cardigans. oh, and gold hair. i wish for such prettiness on my rail. oh such sweetness i can't function. the most adorable mila from loveology gave me a little gift. and then so did the lovely becca janie from along the shore thank you so very much. 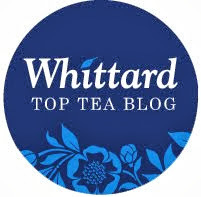 I'm really glad I stumbled upon your blog - it's like the best cup of tea when you get home on a cold and rainy night. Oh those edible piglets are just too adorable! The Galliano collection is so sweet and feminine too. The pigs are the sweetest, and your cute cup, I haven't had one like that in years. Ohhh I did a little post with afew dressing up pictures. mmm, I want some of those strawberry piglets! did you say strawberry pig? those are two words don't usually go together. they look so adorable! you have such a sweet friend. ps. being busy is the best way to forget about sad things =) so go ahead and be busy!! *blushes* thankyou so much for that lovely gift! are you back at uni now? how long before you go home again? those galliano clothes are beautiful. that pale pink skirt is so breathtaking! and that strawberry pig is mouthwatering. i really should be studying for my leavers, but i'm watching marie antoinette instead and dreaming about maccaroons and tulle and lace fans. have a lovely day! thankyou again. oh, and i just tagged you to do a '6 things that make me happy'. awww darling I hope you have a much better day today. time will fly and then it'll be halloween, and working hard can be fun fun fun too! I love the little strawberry piggies...be happy and smile love! I thought I would let you know I added you to my blog list. I love those pictures. The clothes are just so awestruck. 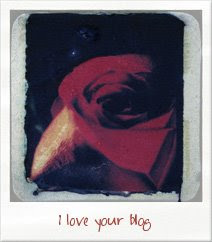 Thank you, your blog seems so arty and pretty, nothing compared to mine. Your glittery cup is so delightful, is it from your childhood? The John Galliano clothes are so beautiful too, aren't they? You and Mila are so kind to me. Thank you, thank you. I'd return the favour if I didn't know it would end in a vicious cycle. ha ha. Those dresses look good enough to eat! It's very funny to find someone who like tea as much as I do! And what's more funny, I do also have special cups to drink the tea with! The pigs were so cute, and it's sad that you have to eat them! PS: is it ok that I add you to my reading list. Your blog is just fantastic! I love that john galliano collection - perfectly girly! And those piglets they look too cute to eat!! I love your sweet fairy cup. Good luck with projects!